This product is designed to be threaded onto the lead end of a group of either Triplex or Quadplex cables so that they can be pushed through short lengths of ducting. 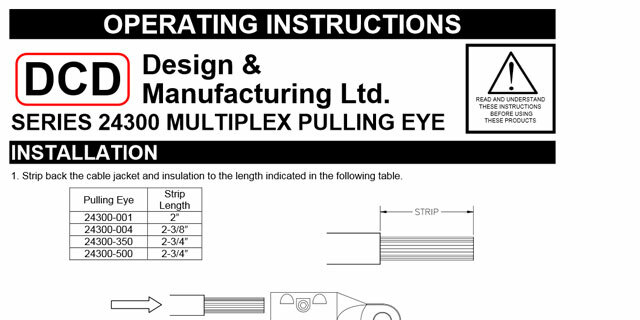 The basic Pushing Eye comes with only the body and a shoulder bolt. 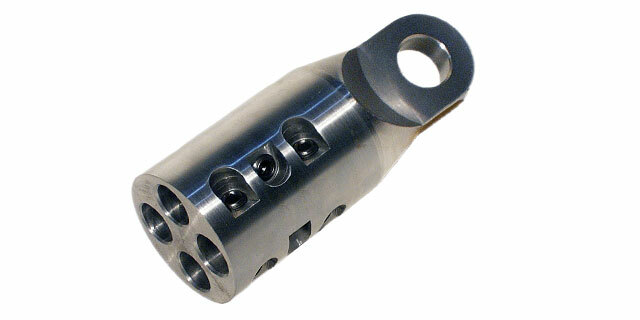 There are several different attachments which can be threaded onto the bolt and these must be purchased separately. 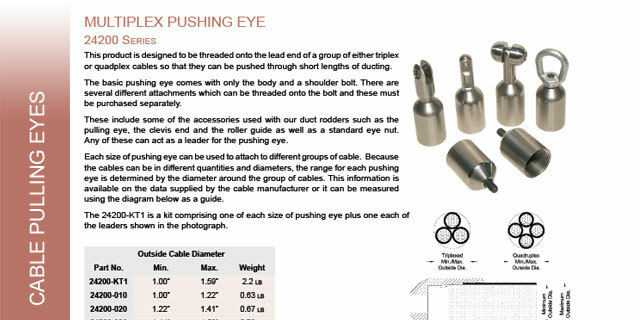 This Stainless Steel product is designed to pull either Triplex or Quadplex cables. 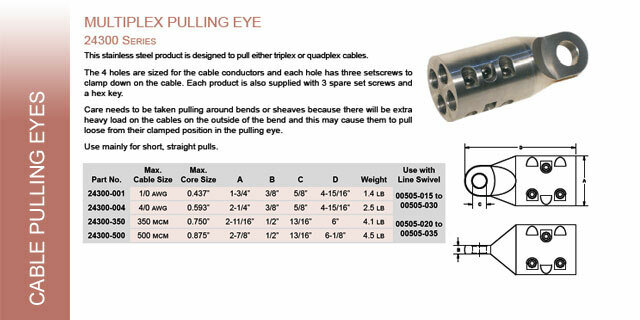 The 4-holes are sized for the cable conductors and each hole has three set screws to clamp down on the cable. 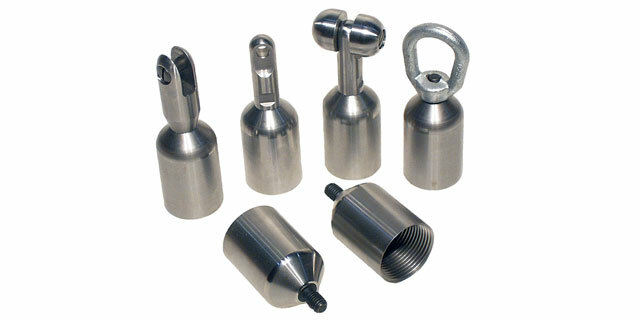 Each product is also supplied with 3 spare set screws.